Real life saloon doors! Just like in the movies, open for bidding right now, until just after 6:00 p.m. on December 12. From the Golden Oak period, when saloons were alive and well, these doors still have the swinging hinge mechanism. View and bid on these and 850 other items now on Rothschild’s Antiques Auction. Just go back to the homepage and click on either Session 1 or 2. Session 2 Now Open for Bidding!!! Rothschild’s Antiques – Session 2 – Bid Now!!! Much like Session 1, this auction is comprised of some of the coolest art, antiques and collectibles that you’ve ever seen. And it all sells to the highest bidder!!! Rothschild’s Antiques – Session 1 – Bid Now!!! Finally, Rothschild’s Antiques Auction is open for bidding. Go to www.StLouisOnlineAuction.com to view and bid on this amazing offering. Full store liquidation – ALL ITEMS SELL – NO RESERVES!!! We are currently preparing for the internet auction of the inventory of Rothschild’s Antiques. 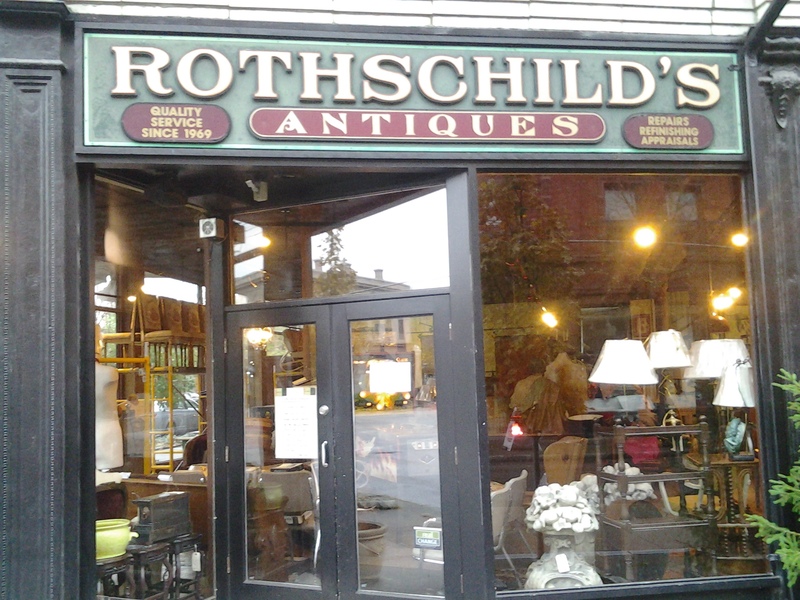 A St. Louis landmark since 1969, Rothschild’s Antiques was voted “Best Antique Store in America” by Esquire Magazine. Possibly the most eclectic assortment of antiques, collectibles, rarities and oddities in the city; auction items cover the gamut from pinball machine to moose head mount to period French grandfather clock to jade carvings to Native American artifacts.